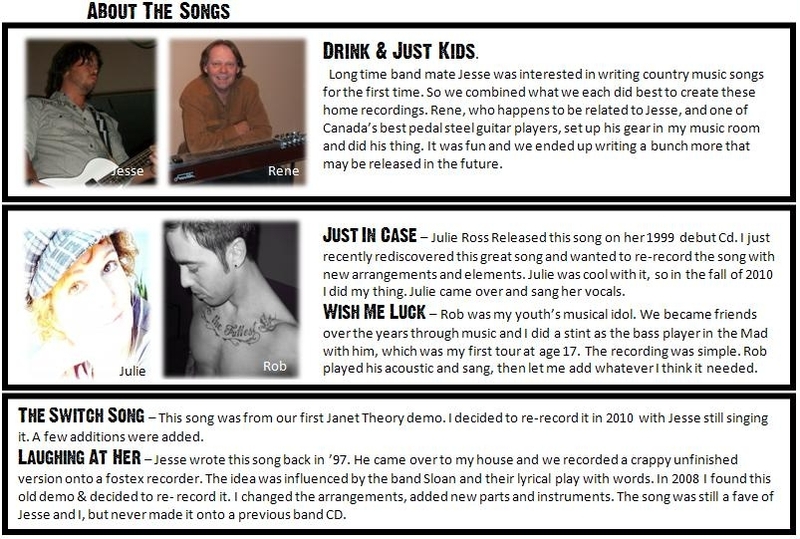 Notes: During the past few years, Demo Kid has begun collaborating with many local artists. This release includes performances from Julie Ross, Rob Johnston, Jesse V., & Rene Brosseau. 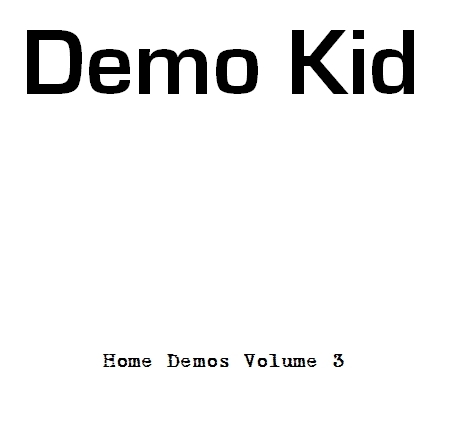 Demo Kid has done 3 tracks with Weezer front man Rivers Cuomo. Turning Up the Radio just made it onto Weezer’s latest record ‘Death To False Metal’ released this year. The original version contained efforts by many along with Demo Kid, and directed by Rivers. 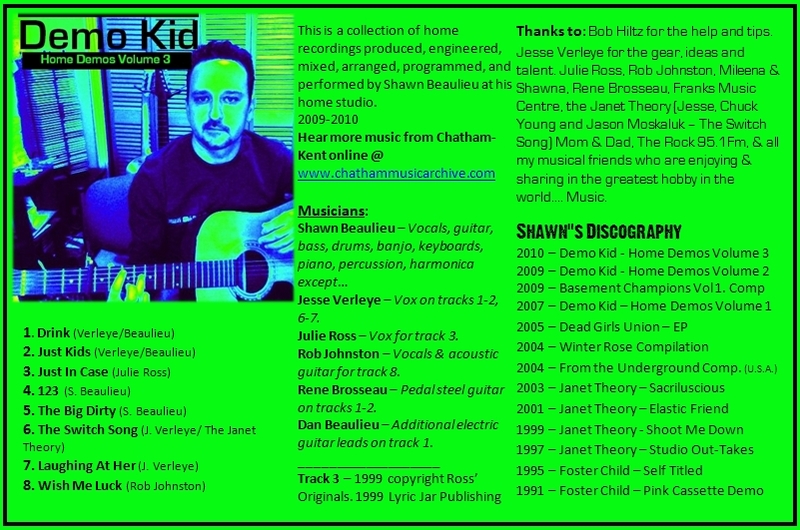 Visit Demo Kid online here. If video does not show, watch it here. 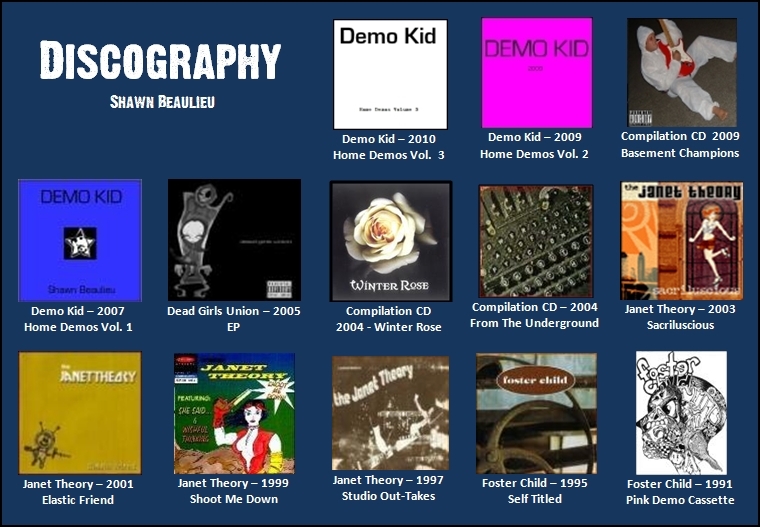 You are currently browsing the Chatham Music Archive blog archives for December, 2010.